Ballard attended the "Intelec 2013" exhibition & conference in Hamburg, Germany last week. UK Trade & Investment and a delegation of UK companies showcase their know how in the offshore wind market this week at the AWEA Offshore Windpower Conference in Providence, Rhode Island. 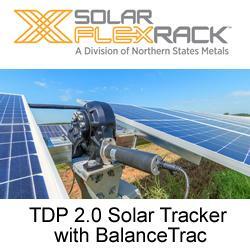 AlsoEnergy and DECK Monitoring Form the Preferred Provider of Independent PV Monitoring Systems in the U.S.
10/22/13, 10:11 AM | Solar & Wind | AlsoEnergy, Inc.
CSP Today has launched its 3rd Concentrated Solar Thermal Power Conference & Expo, in which the main stakeholders, local and international CSP community, will be present at the summit to overcome current challenges facing the industry. CSP provides electricity to the grid in a far more stable way than other technologies can, but due to its scalability it can also provide important cost-effective industrial solutions. Who are the leading CSP companies in 2013? Finalists of the International CSP Today Awards 2013 have been announced. Amidst the backdrop of a challenging international CSP market, there have been great efforts made to excel the industry forwards with advancements in technology, engineering, cost reductions and lobbying efforts. The Conceptual Solar-powerd PURE Tension Volvo Pavilion Becomes a Reality With The Collaborative Help of Fabric Images, Inc. Fabric Images, Inc., in collaboration with Synthesis Design + Architecture (SDA) and the auto-maker Volvo, completed fabrication on the first of its kind sustainable energy tensioned fabric architectural display called the PURE Tension Pavilion. Fabricated at Fabric Images, Inc., in Elgin, Illinois, USA, the solar pavilion was installed and debuted in Milan, Italy in mid-October for the Volvo Italia release of the Volvo V60 Plug-in Diesel Vehicle. Sunmodo Corp., a leading racking solutions provider for solar power systems, is pleased to announce that Sunmodo will be exhibiting at the Solar Power International 2013 at the McCormick Place in Chicago from October 21-24. Sunmodo will showcase its new rail-less solution at the show along with other innovations that will answer many needs and solve several complaints in the solar industry. The IND Solar Farm at the Indianapolis International Airport, with project partners General Energy Solutions, Telamon Corporation, Johnson Melloh Solutions, Indianapolis Airport Authority and Indianapolis Power and Light Company, today, October 18, 2013, announced the commissioning of a 12.5 MW DC solar photovoltaic project. AllCell's passive thermal management system allows Solar Grid Storage to place both the battery system and inverter into a single ISO container -- a significant reduction in complexity, cost, size, and weight compared to other options in the market today.